Serving the Townships of Rosendale, Hurley, Esopus, Woodstock, Kingston, Ulster, Lloyd, Gardiner, Denning, Marlborough, Rhinebeck, Rochester, Olive, Shandaken, Plattekill, Saugerties, Marbletown, Wawarsing, Hardenburgh, and the Town and Village of New Paltz in New York. Saugerties, Marbletown, Wawarsing, Hardenburgh, and the Town and Village of New Paltz. 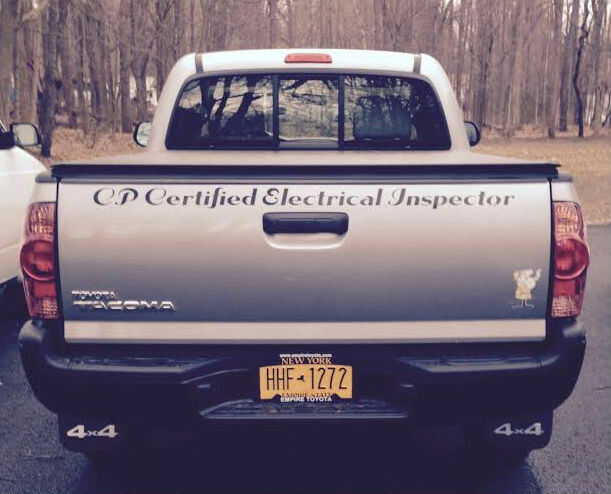 This site and all its content are © 2017, Chris Peone, Certified Electrical Inspector. P.O. Box 311, Tillson, NY 12486. (845) 853-3202.